It is so adorably attractive you just want to stick it in your pocket and take it everywhere. This is, of course, referring to the 2018 Chevrolet Spark. The Spark is a technology and convenience packed small hatchback style car that lights up every driver’s heart; this goes double for those that love cruising the city. Its size may seem like a turn-off, but it is the size of the 2018 Chevrolet Spark that gives it such charm and character. This model is nimble and easy to maneuver, making it excellent for getting into and getting out of tough situations. With the Spark, you will never fear parking again. It will also never fail to follow your lead to perfection. It is the ideal city car with great fuel efficiency, compact sizing, reliable control, and fun technology to get your through the crowded street with ease. The 2018 Chevrolet Spark offers a shocking eight trim levels for drivers to choose from all within $5,000 of the starting price. You can get the LS, 1LT, Activ, or 2LT trim levels in either manual or automatic to fit your preferred driving style. Some top of features includes keyless open and start, heated leatherette seats, roof rails, Lifegate, chrome accents, and seven-inch infotainment system with smartphone capability. The 2018 Chevrolet Spark didn’t forget safety features though. The 2018 Spark includes ten well-distributed airbags, rear vision camera, StabiliTrak stability control system, LATCH system, and OnStar five-year basic plan. Best of all, these safety features come standard with every 2018 Chevrolet Spark. Walk into almost any dealership, and you will find a plethora of power-hungry trucks and sleek family SUVs, but what you will not find such a compact, classy, eco-friendly, and modern vehicle ready to brave any crowded street for you with its own signature vibrant flair all at an affordable price. The 2018 Chevrolet Spark is the compact hatchback that is ideal for anyone who has lost their cool more than once due to unbearably crowded streets. The Chevrolet Spark also has a unique set of colors and features that will leave passengers impressed and those passing by turning their heads to get another look. Basically, if you are in a big city, and need a smaller ride with surprising flair that can make frustrating tasks such as parking and maneuver a piece of cake, then the 2018 Chevrolet Spark is ideal for you. When it comes to the ability for the 2018 Chevrolet Spark, you need to consider three key factors. The first is the engine; the 2018 Spark does have the smallest engine Chevrolet offers, but the Spark is also the smallest car Chevrolet offers so that should be expected. The 1.4-liter inline-4 engine offers a less than speedy, but still operational 98 hp and is only available in front wheel drive. The 2018 Spark is not a performance beast, but it does have a few redeeming qualities under its hood. 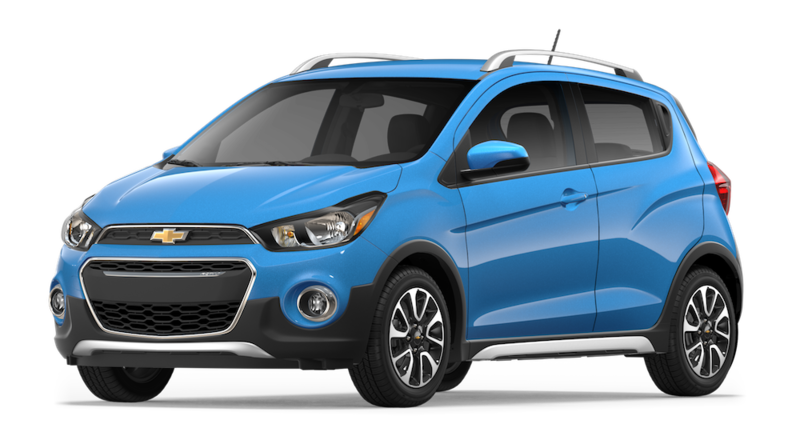 The second key factor is fuel efficiency which the 2018 Chevrolet Spark has a healthy amount of at 38 mpg highway. The Spark is not a hybrid, but it does hit high on the green scale. The EPA’s rating for the 2018 Spark is a great encouragement for city drivers who require a little more eco-friendly options. The final ability factor for 2018 Chevrolet Spark is the size itself. Yes, the 2018 Spark will never reach the final lap on the race track, but this is a vehicle that was made for the mean city streets due to its ability to glide and slide into any tough spot, and any city goer will gladly criticize about how many of those there are. Overall, the Chevrolet Spark is ready to prove its worth with its unique set of abilities. The 2018 Chevrolet Spark is a mini-mobile with plenty of attitudes. The spark is a subcompact five-door hatchback that is 143 inches long, 63 inches wide, and 59 inches high which allows it to fit into even the toughest spaces possible; it may not be big, in fact, it is the smallest Chevrolet to date, but it’s convenient, and it is without a doubt stylish in its own right. The color choices alone will have drivers swooning from refreshing mint green, unique rimstone yellow, sweet pinkish sorbet, and epic splash blue. Honestly, you have never seen a unique set of paint options to make your ride stand out. Along with paint, the hood and side curves are designed to perfectly shape the 2018 Chevrolet Spark to make it both modern and striking when you get a good look at all the subtle details. The understated front grille and wraparound headlamps are well placed in order to give the appearance of squeaky-clean engineering. Overall, the 2018 Spark’s attitude is vibrant, modern, and just plain appealing to the eyes. On the inside the 2018 Chevrolet Spark despite its size, can fit four adult sized people comfortably. The 2018 Spark’s interior also speaks to its modern attitude with the focus being the easy to navigate seven-inch touch display and the traditional dashboard with all the gauges and instruments you require. The seats are close together, but they are supportive and comfortable with classy-looking upholstery available in black leatherette. Another surprise is that the 2018 Chevrolet Spark does leave more head and leg room then it would appear at first glance. All in all, The Chevrolet Spark will always find new ways to surprise. The saying big things come in small packages has never been more true. We appreciate your interest in our inventory, and apologize we do not have model details displaying on the website at this time. Please fill the form out below and our team will quickly respond, or, please call us at 888-509-5199 for more information. Trust is the number one factor when it comes to finding your perfect dealership. For three years in a row, Chevrolet has earned the J.D. Power Dependability Awards for cars, trucks, and SUVs, proving their reliability goes above and beyond. At Chevrolet, you will not only discover reliability to ease your mind, but exceptional customization to match customers every need. Chevrolet assures quality engineering with each of its unique model types. Whether you live to embrace the exciting city life or wander the adventurous rural regions, Chevrolet has got a ride for you. At Carl Black Chevrolet in Nashville, you will always be able to put a friendly face and name to the person who made your vehicle dreams come true. With customer service as a top-priority, Carl Black of Nashville never fails to turn the exhaustion of shopping for a new car, into a positive and enlightening experience for everyone. 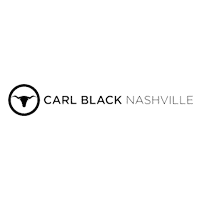 With Carl Black Nashville you will never have to stress over a car again.